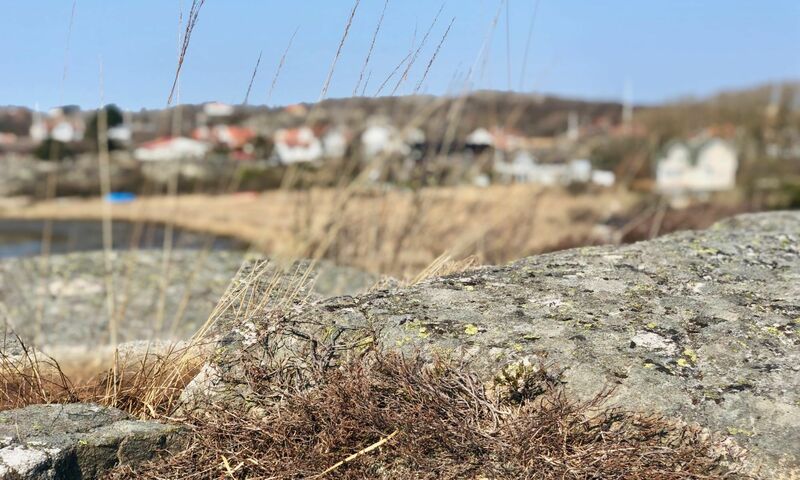 If you live in Gothenburg, you most likely have an affinity for water. The way the river meets the ocean, with its open views toward the west, and the promise of whatever lies out there, has drawn people westward for centuries. In the nineteenth century, almost a million Swedes left our country to emigrate to the promised land of America. They all left via Gothenburg, and our big port, and the vessels connecting us to New York. Gothenburg is a naval city, always has been, and I see no signs of that changing. Still, in the fifth decade, after the big shipyards closed down and that part of town has transformed into a hip neighborhood filled with fancy condominiums, Gothenburg is still a naval city. The city made its fortune based on trade with China, and our East India traders were so profitable that even a sunken one, just off the coast, was still profitable, even though the majority of the goods were lost. A replica of the Götheborg sailed to China and back in the latter half of the first decade of this century, stirring emotions from Kanton all the way around the world. 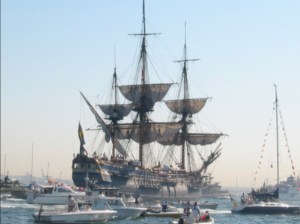 When the Götheborg returned, on a gloriously sunny summer’s morning, it seemed as if the entire city was welcoming her back home, with tens of thousands of people watching her sail into the harbor and thousands of small and bigger boats and ships awaiting her and accompanying her in the harbor. 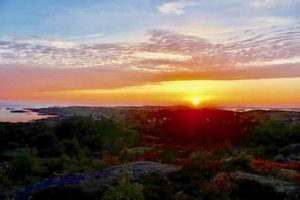 You could’ve walked from Hisingen to the Archipelago that day. I was one one of those boats, and it’s a memory I’ll cherish for the rest of my life. Goosebumps don’t begin to describe the emotions when the Gothenburg sailed past us! There’s something majestic about tall ships, these reminders of a time when sailing the seven seas was a true adventure. I am a big fan of cruise vacations, and I love the comfort of modern cruise ships, but I’ll be honest, the sight of a tall ship makes my heart skip an extra beat. 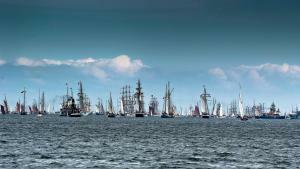 These tall ships, often maintained by associations and military training units often compete in friendly giant races under the name of Tall Ships Race, and they’ve been to Gothenburg more than once since I moved here, last in 2016. Not only do we have two permanent tall ships in our beautiful skyline, the aforementioned Gothenburg, but also the hotel barge Viking downtown, a four-mast beauty that is one of the most unusual hotels you can find in Gothenburg. And very reasonably priced. 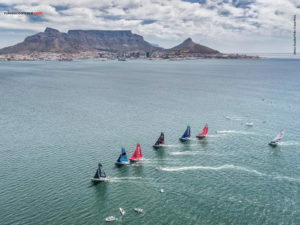 The Volvo Ocean Race Vessels near Cape Town, South Africa. Photo: Volvo Ocean Race. Our sunsets are for the history books, and they beckon to the west, Denmark, the Atlantic and the promise of America. Photo: private. It comes with the territory, and this city owes everything to the sea, our history is one with the ocean, the islands lining our coast are pearls you don’t want to miss, and our sunsets late at night (as late as 10:12 pm) on a beautiful summer’s day are quite something. Why not visit us soon and let us show you around? Contact us today!